In the last two years, several large, national mortgage lenders have publicly announced their exit from marketing service agreements (MSAs) with real estate brokers, title companies and others. Recent U.S. Securities and Exchange Commission (SEC) filings indicate that Realogy and PHH, which entered into a joint venture in 2005, have removed certain provisions from their strategic relationship agreement. The joint venture provides mortgage origination services to about 790 real estate offices within NRT LLC, a subsidiary of Realogy, and gives PHH the exclusive right to use the Century 21, Coldwell Banker and ERA brand names in marketing PHH mortgage loan products. A longstanding relationship between real estate brokerage franchisor Realogy and embattled mortgage lender PHH Home Loans might be the latest casualty of the murky regulatory environment. In the last two years, as the Consumer Financial Protection Bureau (CFPB) has put the real estate, mortgage and settlement services industries’ co-marketing activities under its regulatory microscope, several large, national mortgage lenders have publicly announced their exit from marketing service agreements (MSAs) with real estate brokers, title companies and others. The filing comes while PHH is embroiled in a federal court battle with the CFPB over allegations that its agreements with mortgage insurance companies violated the Real Estate Settlement Procedures Act (RESPA). Realogy and PHH removed provisions from strategic relationship agreement. The amended agreement does not alter the financial terms of the joint venture, of which PHH has a 50.1-percent controlling share, and Realogy has a 49.9-percent share. The joint venture provides mortgage origination services to about 790 real estate offices within NRT LLC, a subsidiary of Realogy and one of the nation’s largest real estate brokerage companies. It also gives PHH the exclusive right to use the Century 21, Coldwell Banker and ERA brand names in marketing PHH mortgage loan products through PHH Home Loans and other arrangements that PHH has with Realogy. The 50-year agreement is subject to early termination in 2017. During PHH’s second-quarter earnings call this year, CEO and President Glen Messina was asked to clarify whether PHH’s relationship with Realogy is similar to the relationships it had with the companies named in the CFPB’s lawsuit. “So MSAs, marketing services arrangements, are basically a contractual agreement whereby somebody agrees to market your brand and such in accordance with what is required or what it permissible by law,” Messina replied. However, the recent SEC filing seems to indicate that the companies are taking steps to remove any question from the minds of regulators that their agreement may not pass the CFPB’s RESPA smell test. So far, PHH and Realogy aren’t saying much about the SEC filing or how the current regulatory climate may impact their joint venture in the future. The bureau has been publicly criticized by the industry, legal and compliance experts — and even other regulators and lawmakers — for applying an overly broad interpretation of RESPA to its consent orders and enforcement actions against companies’ marketing practices. According to the CFPB, NewDay paid lead generation fees to the veterans’ organization in exchange for being named its “exclusive lender.” That agreement, the CFPB said, could be construed as a thing of value and ran afoul of RESPA in the bureau’s mind. The CFPB initiated an administrative proceeding against the New Jersey-based lender in January 2014, alleging that over a 15-year period, PHH used mortgage reinsurance arrangements to solicit and collect illegal kickback payments and unearned fees through its affiliates Atrium Insurance and Atrium Reinsurance in exchange for the referral of private mortgage insurance business. According to the bureau, PHH allegedly set up a system whereby it received up to 40 percent of the premiums consumers paid to mortgage insurers, “collecting hundreds of millions of dollars in kickbacks,” and overcharged consumers for loans if they did not buy mortgage insurance from one of its reinsurance partners — violating RESPA as well as the Consumer Financial Protection Act. The companies appealed, denying the CFPB’s allegations and asserting that their reinsurance agreements met all statutory requirements. In November 2015, Administrative Law Judge Cameron Elliot issued a decision recommending that, as the companies accepted reinsurance premiums in violation of RESPA Sections 8(a) and 8(b), the CFPB should impose an injunction and disgorgement of almost $6.5 million. Both PHH and the CFPB appealed different aspects of that decision to CFPB Director Richard Cordray, who overturned some of the administrative law judge’s rulings and countered with an order calling for PHH to pay more than $109 million in disgorgement. PHH then asked the D.C. 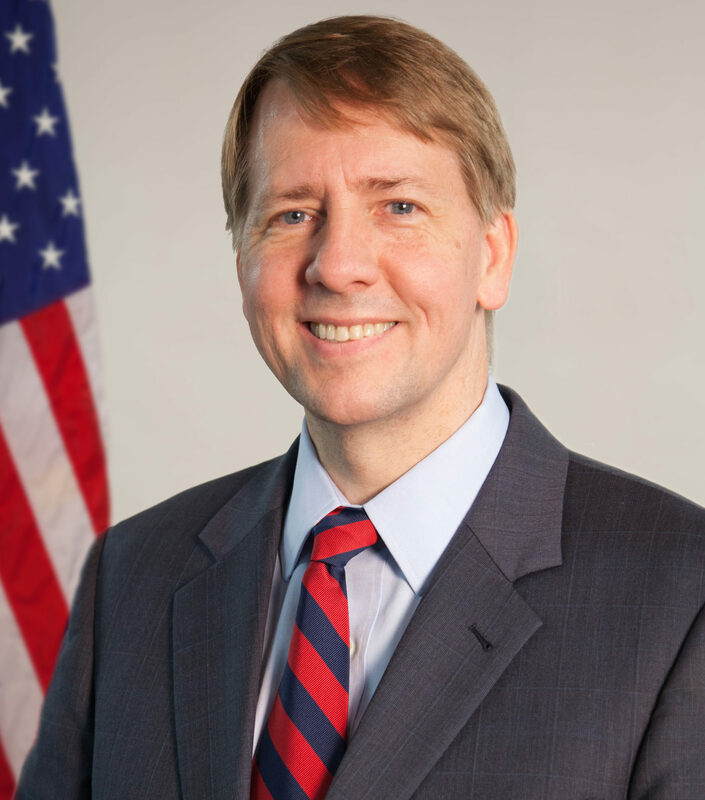 Circuit Court to overturn Cordray’s order, calling it an abuse of discretion — marking the first time a company has fought back against a CFPB order. The court granted a stay on Cordray’s order in August. Final briefs are due before Christmas, and arguments are expected to take place next spring.